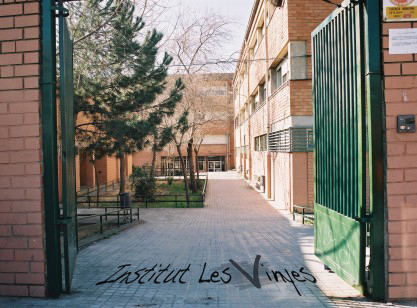 The name of the school is Institut les Vinyes. “Vinya” means vineyard. The name of the school comes from the vineyard fields that in the past occupied all the area where we are now. Actually, all the slope of the mountain was full of vineyards. Our high school was born 37 years ago, in November 1978. 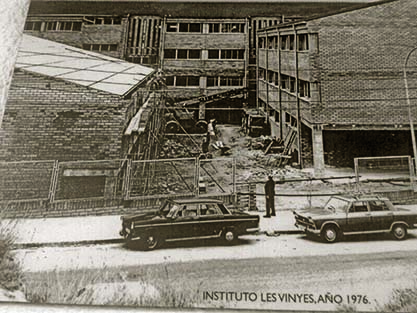 It was born only as a Vocational Education and Training school (VET). During many years it was one of the two only VET high schools in our city. Santa Coloma was a quite small village very near Barcelona until the internal migration that took place from the 50s till the 80s, and that was when Santa Coloma became a big city with almost 120.000 inhabitants. In the last decades, Santa Coloma has received a lot of migrants from other countries such as Morocco, India, South America etc.. The percentage of immigrant students in the school is approximately 20 % mainly from Morocco, followed by South and Central America, India and Pakistan. 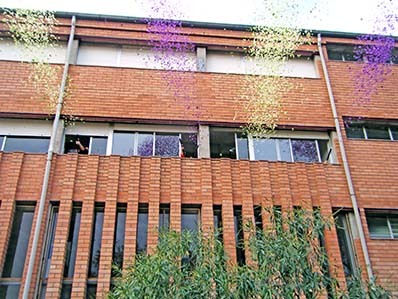 Nowadays, Santa Coloma has 8 state high schools and 28 state primary schools. Intermediate VET Course of Carriage Works. Intermediate VET of electro mechanics. Intermediate VET Course of Hairdressing and aesthetics. Intermediate VET course of Nursing auxiliary/technician. Intermediate VET course of Pharmacy. Intermediate VET course of Emergency Health Care. Upper VET course of Laboratory diagnoses. Upper VET course of Dietetics. 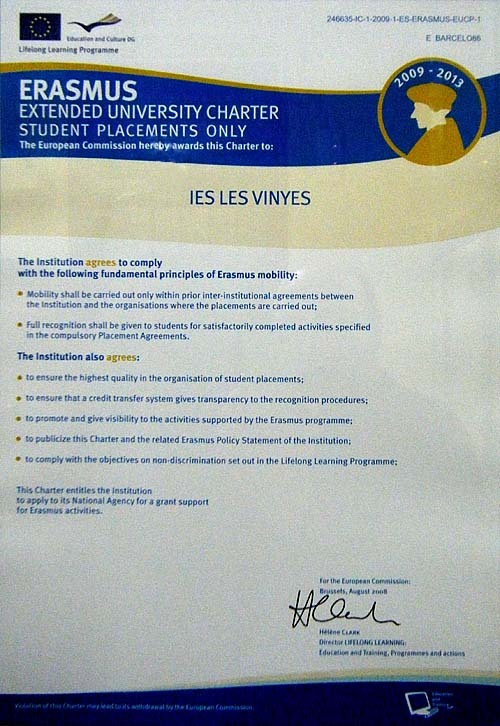 These programmes are aimed for students who are between 16 and 21 years old and they haven’t got the ESO certificate. It is an opportunity for them to try to get into the educational system again and when they finish this course, after passing an exam, they can start at any CFGM course. We also have a Special Unit for Special Education (USEE: Unitat de suport a l’educació especial) for those students who should be in a special school due to their poor performance in some fields, but who need to mix with other students for their personal development. We are also very proud and happy to explain that we have obtained this year the ISO Certification (ISO stands for International Organisation for Standardization).